FLUSHING, Queens (WABC) -- Police are searching for a suspect who attempted to kidnap a young girl at a U.S. Open kids' day event. 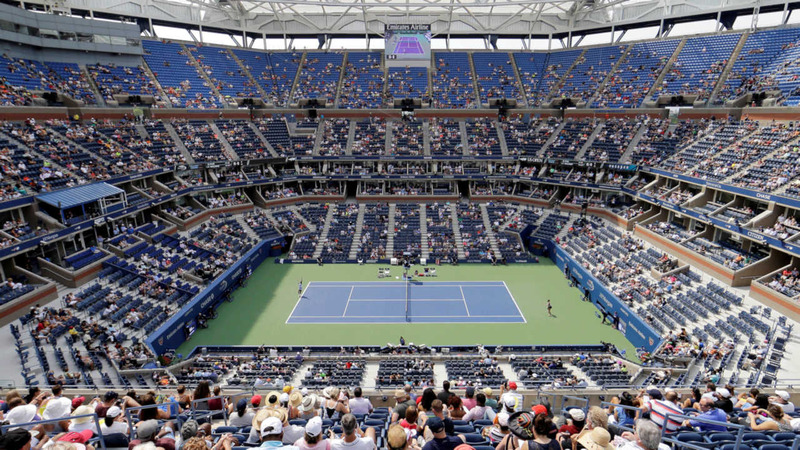 Police say the 11-year-old was watching practice sessions at about 3:45 p.m. with her family inside Arthur Ashe Stadium in Flushing for Arthur Ashe Kids' Day, when an unknown man approached her from behind. According to police, the man grabbed her wrist and told her that if she did not go with him, he was going to hurt her. The girl then reportedly pulled her arm free from the man, and kicked him. The suspect then fled the location in an unknown direction. There were no reported injuries. The suspect is described as a man between the ages of 25-35, approximately 5'8"-5'11 and 200 pounds. He was last seen wearing a red shirt with stripes, khaki shorts, sunglasses and a tattoo with words on his right wrist. Police had originally released a photo of who they thought was a suspect, but have since ruled him out. The description of the suspect remains the same.